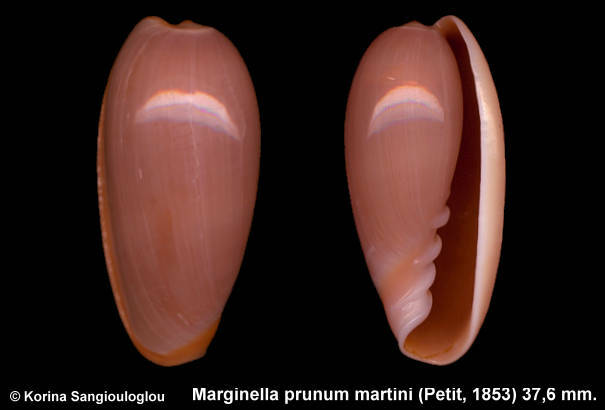 Marginella prunum martini (Petit, 1853) 37,6 mm. Very nice. Has slightly growth lines and tinny spots.